Nature Nate’s Raw Unfiltered Honey is a very delicious unfiltered honey. 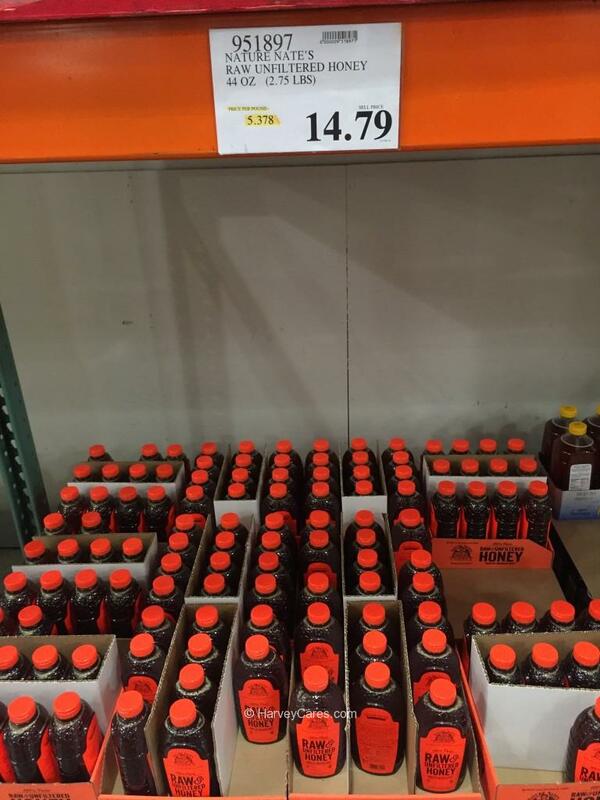 Made by American bees, this honey is definitely one of the best tasting at its price point. I found this honey to be more delicious than regular filtered and heat treated/pasteurized honey. It definitely tastes better. What is great about unfiltered and raw honey is what isn’t destroyed during processing. The natural enzymes and pollen in this product are not destroyed by heating or filters. This provides possible additional health benefits. Including antioxidants and other vitamins and minerals that may have been destroyed or filtered by traditional honey products. Nature Nate unfiltered honey is also raw. The honey has not been pasteurized (heated). There are also no other fillers or artificial ingredients. What you will get is 100% pure honey. I usually add this honey to my oatmeal every morning and this is a wonderful way to boost the flavor. This is also fabulous to mix in with tea and enhance flavor in your cooking and baking. I also add this on fruits, especially fruits that are sour. Give it a try and see if you like it more than regular honey! Looking to Purchase Nature Nate’s Raw Unfiltered Honey? Shopping for the Best Raw Honey? The Nature Nate’s Raw Unfiltered Honey is very tasty. Back to the good stuff! 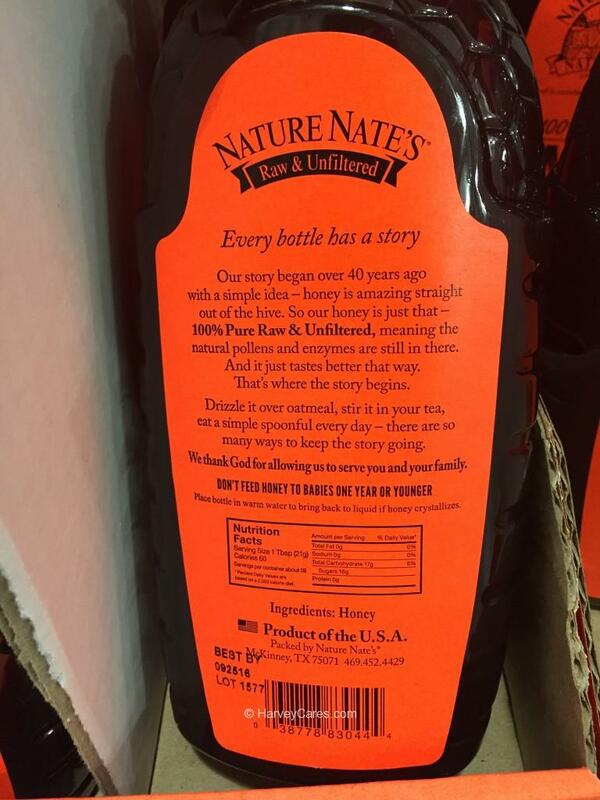 Take a look at the detailed review of Nature Nate’s Raw Unfiltered Honey below. 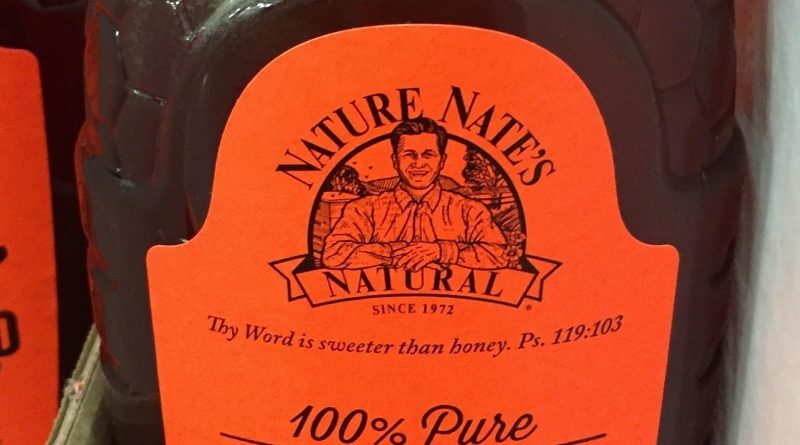 The Nature Nate’s Raw Unfiltered Honey serving size is 1 tbsp (21 g). There are about 59 servings per container. 60 calories per serving. 0 calories from fat per serving. This is a 44 OZ (2.75 lbs) container. The honey is 100% pure raw & unfiltered. Nature Nate’s is a great Christian family owned company located in McKinney, Texas. They are committed to the mission of producing the highest quality honey. You can visit their website here. Natural pollen and enzymes are not destroyed by heating or pasteurization. Use in moderation. This should be a part of a healthy and balanced diet. Just because this is 100% pure raw and unfiltered honey does not make it “healthy.” Honey is still sugar. 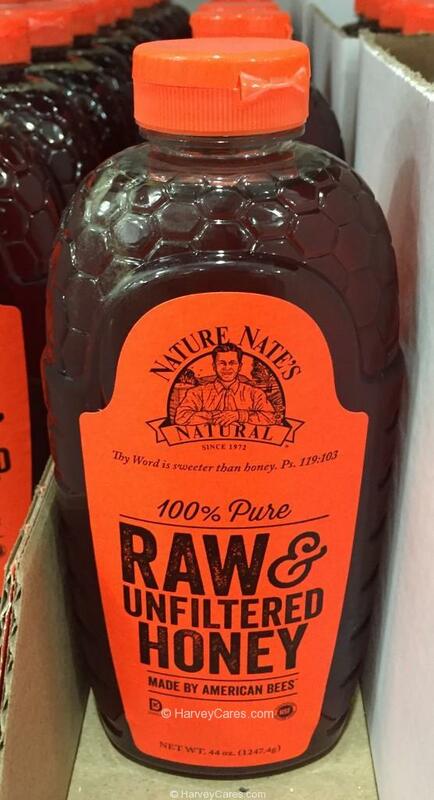 Have you bought the Nature Nate’s Raw Unfiltered Honey before?